We, Seika Electric Co., Ltd, neither have any production / OEM factory in China; nor have produced any capacitor marked with “Thailand Standard”. Recently we have found many copies of our “SK” trademark motor running capacitors which are come from China. 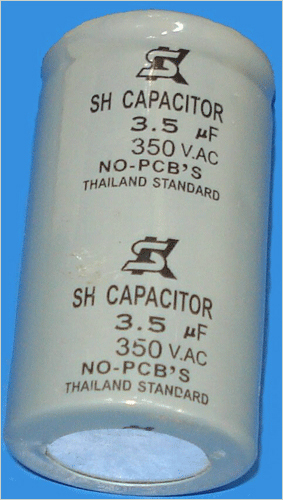 We solemnly declare that we never sell SK brand Thailand fan capacitors 2.5uF350V.AC and 3.5uF350V.AC through TOPO GROUP CO., LTD. China. posted by TOPO GROUP CO., LTD. China. Address : No.34,Lane 387,Min-An Road, Shin-Chuang Dist., 24258 New Taipei City, Taiwan, R.O.C.